It’s second nature for most of us to bring re-usable shopping bags to do the grocery shopping but we often forget about bringing something in place of the multiple smaller plastic bags that are used for purchasing fruit and vegetables in. Sometimes it’s possible to just do without them but particularly for veggies like beans, we need something to contain them from making a salad with other greens in our basket. 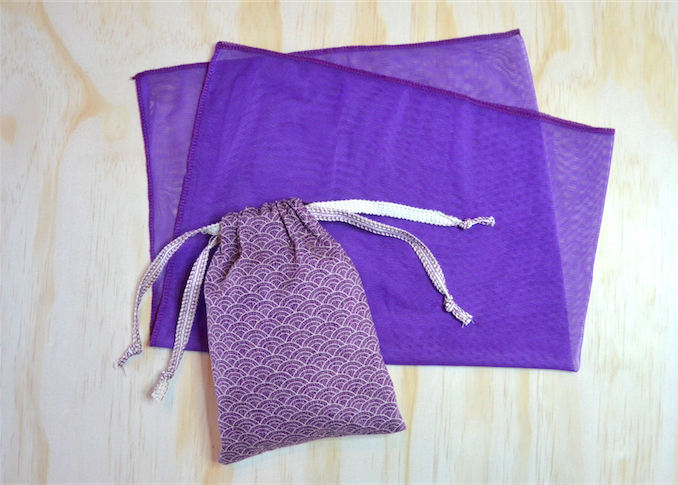 I made some fabric bags last year for Plastic Free July that worked well, however afterwards I searched for a solution that was lighter to carry and was see-through so that it would be easier for people serving me to know what was in each bag. A mesh fabric seemed like the answer and soon after my friend found some commercial mesh produce bags for sale at a market. This inspired me to get sewing. I made some medium-sized bags approximately the same size as the plastic bags available in grocery stores, as well as some smaller bags. 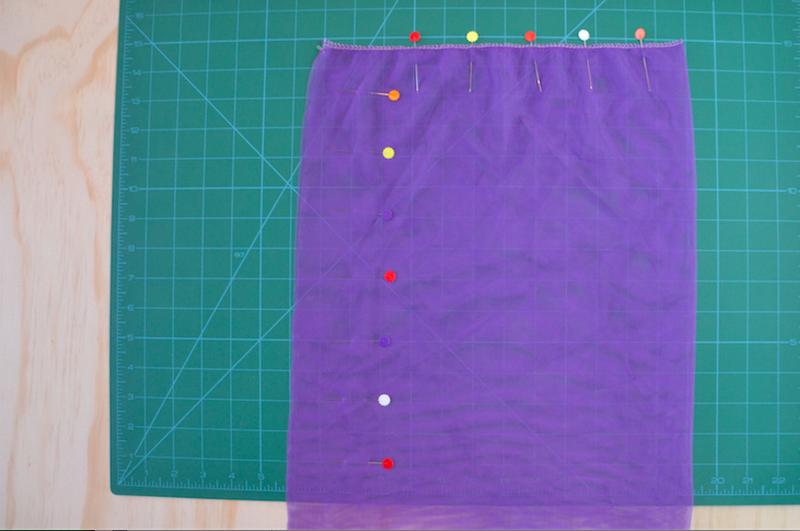 The mesh was a little bit slippery to sew, but I only had to sew short straight lines so that made it easier. I did most of mine on an overlocker but also tried some with a sewing machine using a combination of a straight and zig-zag stitch. They block drains and creeks creating pollution and stagnating the water. Bags are ingested by wildlife leading to starvation and potentially affecting the buoyancy of animals, leaving them unable to dive for food. They are made from non-renewable resources including crude oil, gas and coal. Even bio-degradable and degradable plastic bags require specific conditions to break down. They are easily carried in the wind and they float in the water, often travelling long distances. To marine animals searching for food they look like jellyfish with their transparent colouring and animated movements brought on by the ocean currents. Typically they are used once or twice yet last from 20 to 1000 years. Worldwide 1 trillion plastic bags are estimated to be used and discarded every year. Australian’s use 10 million new bags every day. This amounts to 3.9 billion bags every year! In Australian 429 000 bags are dumped in landfill every hour and 50 million bags are estimated to enter the environment every year. It is estimated that 8.7 plastic checkout bags contain enough embodied petroleum energy to drive a car 1 kilometre. Find some mesh fabric to use. Natural fibres are best but re-usable synthetic mesh is still much better than plastic bags and will last a long time. I found some mesh in a stash I had from a previous visit to Reverse Garbage, bought some second-hand from a charity store and I also bought some remanents from a fabric store. Decide what size is best for you. I made some 45cm by 33cm and others 29 by 25cm. 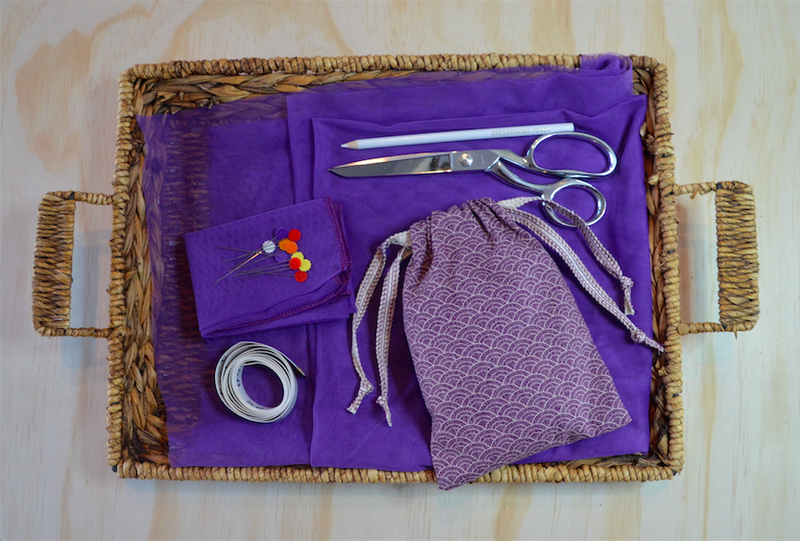 Fold the fabric over and overlock or machine stitch the edges to make them into a simple bag. If you are using a sewing machine then try and have the fold of the fabric at the base of the bag to keep it as strong as possible. Make a small bag to carry your re-usable bags in so they don’t take up too much room in your bag. This way it will be easy for you to have them on you and ready to use. Consider whether you need any small bag at all if you are putting produce such as bananas into your shopping bag. Have a think about when it is that you tend to get caught out without having your own bag with you and what you could do differently to solve this. Get in quickly when you speak to a shop assistant and politely say “I don’t need a bag, thanks” or “I have my own bag, thanks”. Sometimes they can have your goods in a bag before you’ve had time to think. Carry an extra re-usable bag and offer it to a friend. Keep a couple of re-usable bags at your workplace to share for those lunchtime dashes to the shops. Pick up plastic bags you see blowing in the wind before they injure wildlife or reach the ocean. Connect with your local community and explore the possibility of going plastic bag free. Changing our habits takes a bit of planning at first but it can be a lot of fun too. I really enjoy using my colourful bags when doing the shopping and I’ve received positive feedback from shop assistants. What do you use to buy your fruit and vegetables in? Do you have any tips to share?